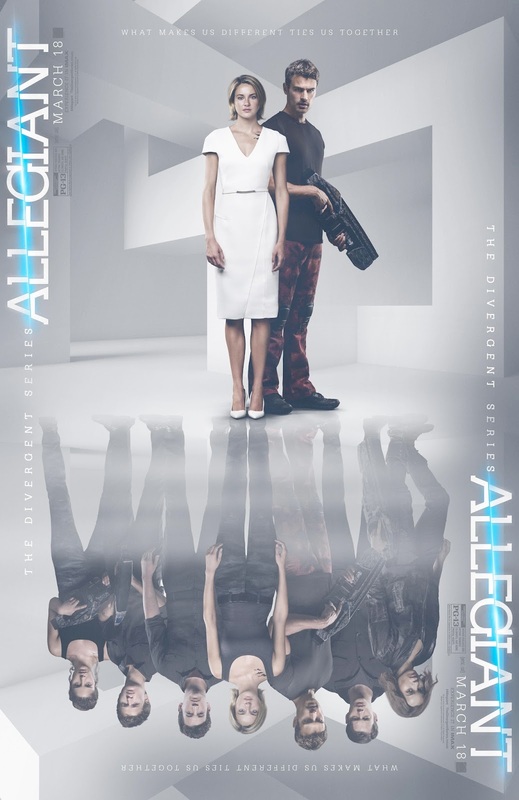 Win an Allegiant movie prize pack with tons of swag & free movie passes! Lionsgate Entertainment and their new movie ALLEGIANT have hooked us up with a giveaway! Once lucky commenter will receive a prize package of VIP advanced screening passes (for two) and movie swag, including movie posters, t-shirts, hats and temporary tattoos! Entry Rules: Comment on this post on our Facebook page (it's pinned to the top): https://www.facebook.com/BookNerdsAcrossAmerica/, Twitter: https://twitter.com/booknerdsblog/status/704871881397157888, and/or Instagram: https://www.instagram.com/p/BCb5QDTngr1/?taken-by=booknerdsacrossamerica. And, YES, you can enter on one or two or all three places! From the comments we will randomly select one grand prize winner! Contest ends Friday, March 11. Good luck!